The month of April is always full of serious surprises. It’s the favorite month for the Illuminati to work their nefarious magic. 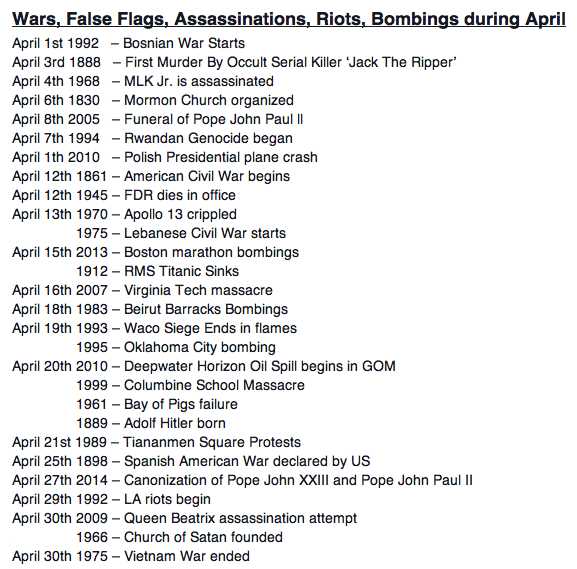 April 1 thru the 30th: Why Is April Always A BIG Month For Illuminati Mischief? 2019 will be no different as seen at the iconic Notre Dame Cathedral. Notre Dame translates to “Our Lady” and refers to the Blessed Virgin Mary. 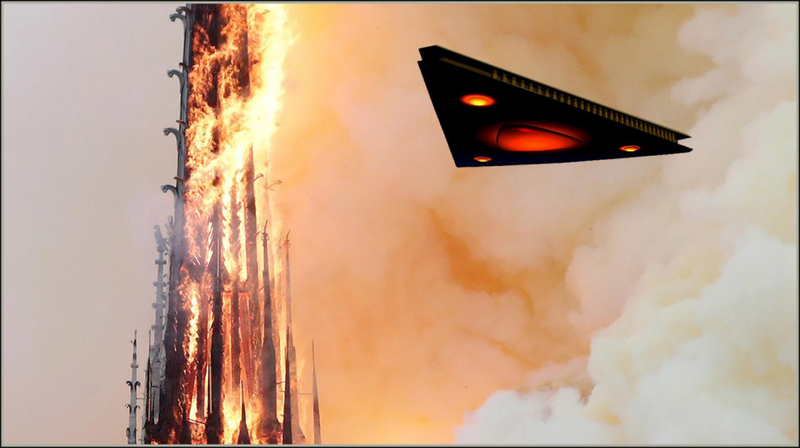 That this arson psyop was carried out during Holy Week on April 15th was certainly no accident of fate; rather, it fits into the dark occult’s predictable use of astrology and numerology for malevolent purposes just like they did on 9/11. The Gladio perps even want the whole world to associate this black operation with 9/11. 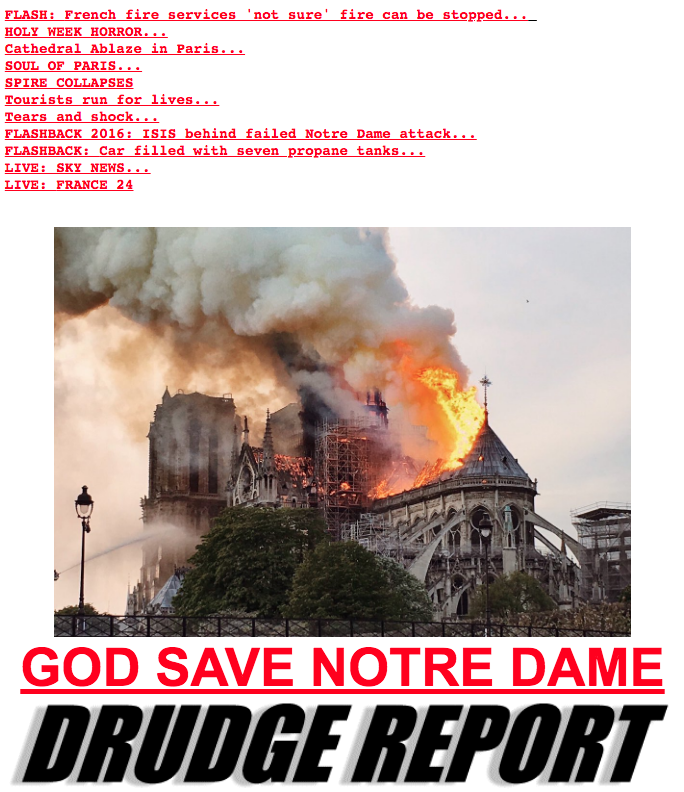 Hence, the Black Nobility are taking off their gloves and destroying the greatest monuments to religion in Europe in an effort to preserve the totalitarian superstate known as the European Union. The EU is fundamentally a communist, non-democratic tyranny modeled after the USSR. Communism is always administered as a completely godless entity that sets up the government to be worshipped as the deity. Therefore, all religions are eventually eliminated through a variety of covert and cruel means. That’s where Operation Gladio comes in as the terrorist arm of the North Atlantic Treaty Organization. 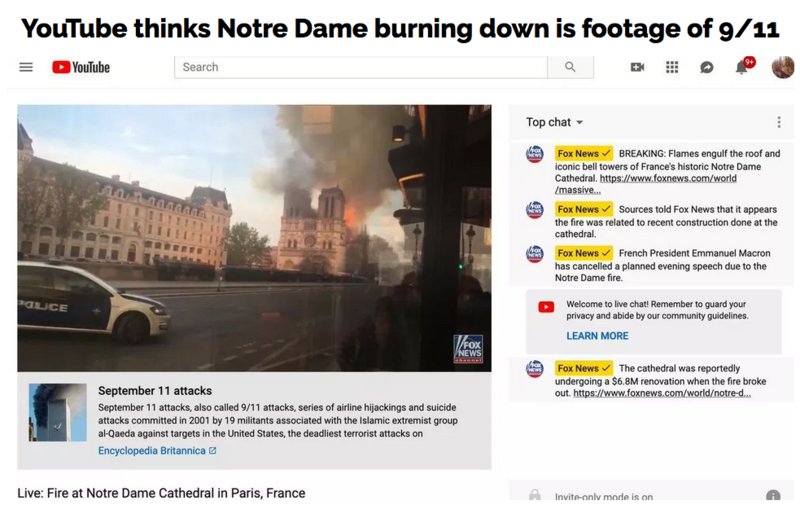 As for the true intention behind this dramatic 9/11-level psyop, it now appears that Macron’s government is being targeted. And, that threats of future attacks are also being used in order to compel compliance from the 3 Ms—Macron, Merkel and May with regard to Brexit. There’s nothing bigger on the radar in the European Union than the ongoing Wrexit scheme. The Powers That Be will simply not permit any party to sabotage the desired outcome that they have been covertly engineering in the background since the Brexit referendum was held. This fire was also likely started as a HUGE distraction to this week’s press conference by AG William Barr which basically confirmed that Russiagate never happened. The Democrats were proven to be hoaxers and guilty of cynically fabricating the “collusion delusion” to accomplish multiple political goals. Deep State also needed to divert attention from the real Russiagate scandal perpetrated by the Democrats which includes treason via FISAgate.